What is the most common thing in a poker table? 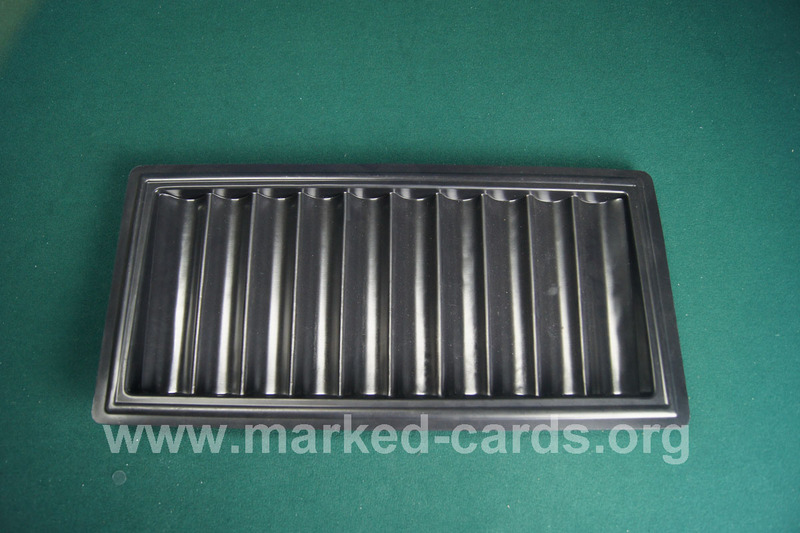 Chip tray! The camera we can install into the chip tray is undetectable. The dimensions and the color of the chip tray will remain original after having been processed. This is always the best choice for the dealers in the poker games. 1. It is easy to control. You can use our special remote control to turn on or switch off the camera. 2. Its battery power is durable. It can last up to 10 hours. 3. The chip tray camera works effectively with 100% accuracy rate. 4. It is easy to operate. 5. 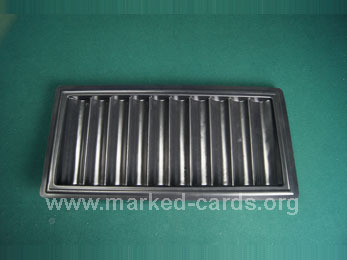 Your chip tray can be customized as well. Notes: Before you place an order or send us your chip tray, please tell us the distance range you are in need of in your poker games. The distance here means the distance between the scanning camera and the marked decks. Normally, the dealers prefer shorter distance while the players prefer the longer ones.